Sony officially unveiled its latest flagship smartphone, the Xperia Z1 at its press conference at IFA, Berlin, yesterday. The cameraphone packs a punch with its Snapdragon 800 chipset clocked at 2.2 GHz along with Adreno 330 graphics and 2 GB of RAM. 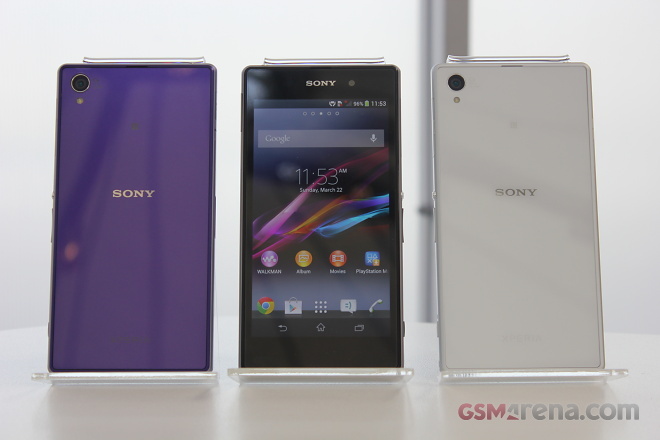 We took the Xperia Z1 for a spin and the performance of the device was top notch. So, we decided to stack it up against other smartphones in the market, and here are the results. The Sony Xperia Z1′s first challenge was when we tested its single-core performance with the BenchmarkPi. As expected, the newest Xperia smartphone piled up an impressive score that secures the device a joint second place in our BenchmarkPi test chart. Next up is the AnTuTu evaluation that gives us a clear picture on the overall device performance. Surprisingly, the Sony Xperia Z1 ended up below the Samsung Galaxy S4. But, considering that we are testing the pre-finalized version, the scores might change soon. We then had the Adreno 330 graphic processing unit running at its full pace. The GLBenchmark tests showed us the capabilities of the graphics processing smartphone and in fact, the Xperia Z1 topped our off-screen tests (considering the other two devices are phablets), while managing a second position in the other. Sony’s latest addition brings a lot of firepower to the table and the smartphone rubs its shoulders against the likes of other heavyweights such as LG G2, Samsung Galaxy Note 3 and Sony Xperia Z Ultra. Sony Xperia Z1 is surely a worthy device to carry the tag “flagship” and is by far the most impressive Xperia smartphone till date. We are itching to get our hands on the review unit to check out the full potential of the device performance.